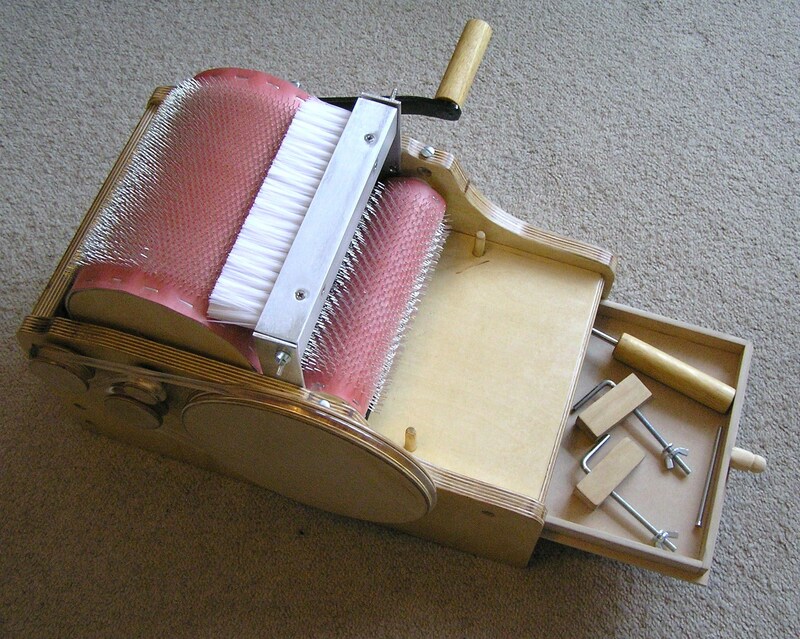 I’ve been saving for a few months now, waiting to get a drum carder. The time finally came and a decision had to be made… I compared several carders in my price range, including the Ashford carders, particularly the Wild Carder which appealed to me because it was a compact design. 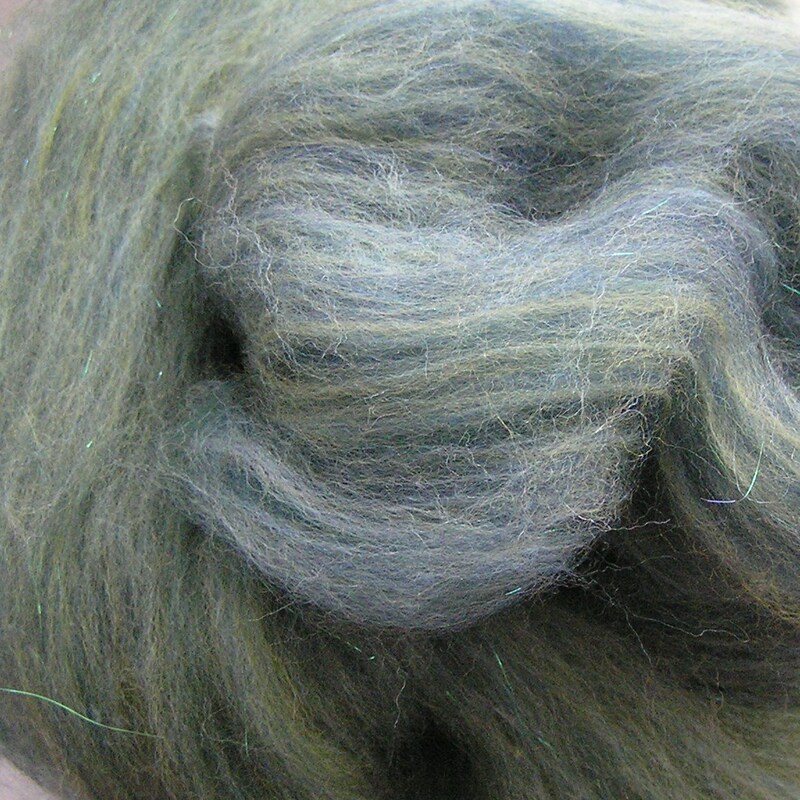 However, I eventually plumped for a Minty carder, 72 ppsi with extra-deep sides and a packer brush (http://mintyspinningsupplies.com/page3.htm). A couple of factors swung it for the Minty – the deep sides mean you can put the carder on the floor or a table and there is room to turn the handle without it crashing into the surface and crushing your fingers, and it’s good to support a local craft supplier instead of the big guys for a change. It arrived by courier a couple of days after ordering, well-wrapped and the only construction needed was adding the handle. Since then, nothing has been safe from the carder – the dog is looking nervous again, after having escaped from the purple dye earlier in the year! I seem to have an addiction to angelina sparkle and have added it to two of the three batts I have made so far.